I have returned from my holiday and so I thought I would slide back into my blog with a traditional review of one of the many billions of X-Box Indie games clogging up my hard drive. 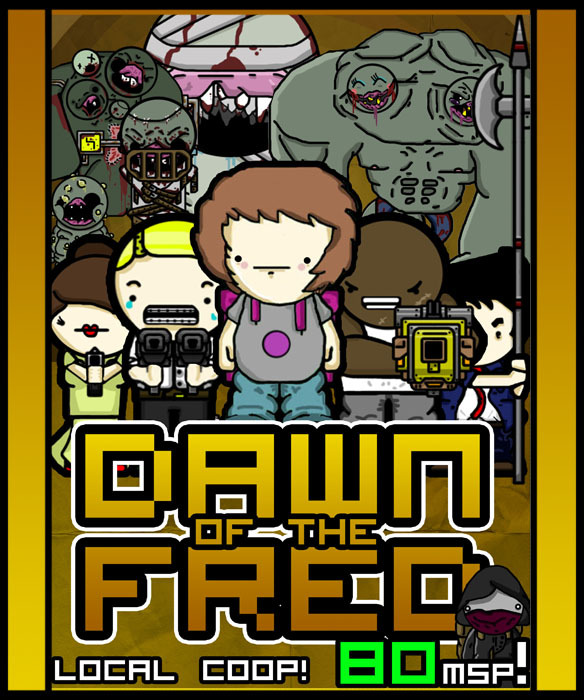 Dawn of the Fred is an arena based zombie shooter, hardly an original spin on a zombie game then. You play as one of a variety of characters including the titular Fred who have to survive rounds against waves of zombies. The demo at least had access to two locations; a house and surrounding garden and a supermarket and car park. I like that effort has been gone into making the arenas feel more like real places than most lazy, lazy zombie games. The graphical style has some real charm to it, it reminded me of Behemoth's style (them of Alien Hominid and Castle Crashers) though does have a lot less animation. 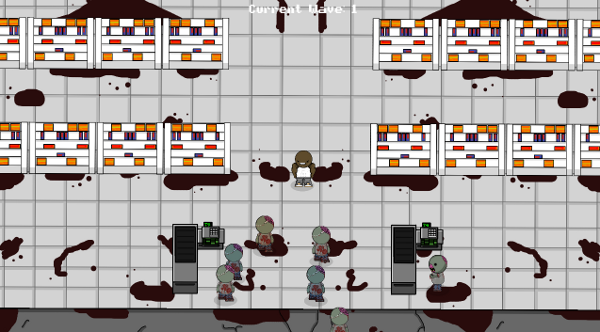 The zombies look great and have variety such as hulking zombies and slug zombies who leave a trail of sticky goo behind them. The sound is also good, has some traditional horror style to it rather than the usual forgettable trash, don't get me wrong, none of the tunes are memorable but at least they are not identical to everything else. There is a shop in each stage which can be used to buy new weapons using gems that the zombies drop when killed. A load of weapons, lots in fact. The shop is a bit fiddly to use and I had trouble exiting it frequently. 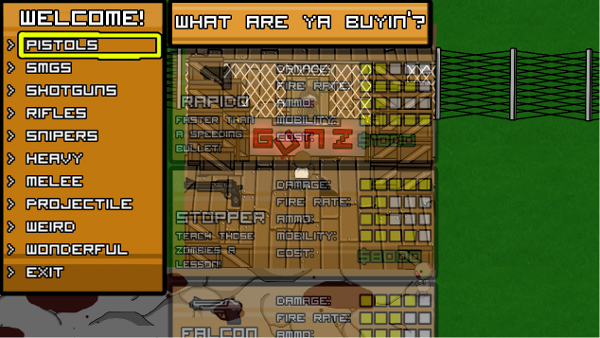 There is also a vending machine where extra ammo and health can be purchased between rounds. 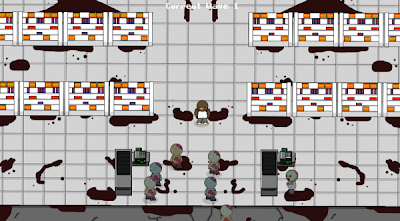 The next wave of zombies is always up to you to start so none of the usual rushing feeling of being in between rounds. Dawn of the Fred is up to 4 players, is fun enough even if it does not do anything different to all the other arena games out there, is just a far better example of one and has had more effort put into it. As with all arena games it soon gets boring and there is not a lot of animation to anything also. Some real charm though and for 80 Microsoft points you can't complain too much.